If you have been playing slots for any length of time, you may have noticed that your tolerance for high variance slots has increased over time. At least, that’s how it was for me. I was all about low variance slots in the early days because I liked how those frequent small wins made me feel like I was getting somewhere. Just the fact that I was gambling online and winning real money was satisfying even if most of the wins were small. But all that time, those high variance slots lurked at the periphery of my vision… almost daring me, like a mountain daring to be climbed. Eventually, the newness of gambling wore off and something changed to where I didn’t need to be constantly reminded what a good job I was doing with piddly little wins every other spin. Today’s post pays homage to the tough but generous high variance slots that have been bestowed upon us over the years by many a casino software developer. We’ll start right off with our list of the top high variance slots online and then follow that up with a discussion below that explains what constitutes a high variance slot and our methodology for these picks. 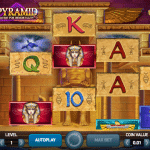 Minimum and maximum bets can vary by casino. 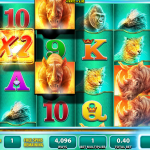 Some slots software platforms allow casino operators a degree of latitude in configuring certain settings such as minimum bet and maximum bet. Basic information regarding volatility is always accurate, but there may be some variations in accepted bet sizes. RTP = Return to Player. This is a percentage that expresses how much money the game pays in winnings compared to how much it takes in from betting. An RTP of 95%, for example, would mean that for every €1.00 in bets placed, €0.95 is returned to players in the form of winnings. This is a long term measurement that can be greatly affected by random variance over the short run. I am only recommending up to three casinos that we know and trust for each slot. 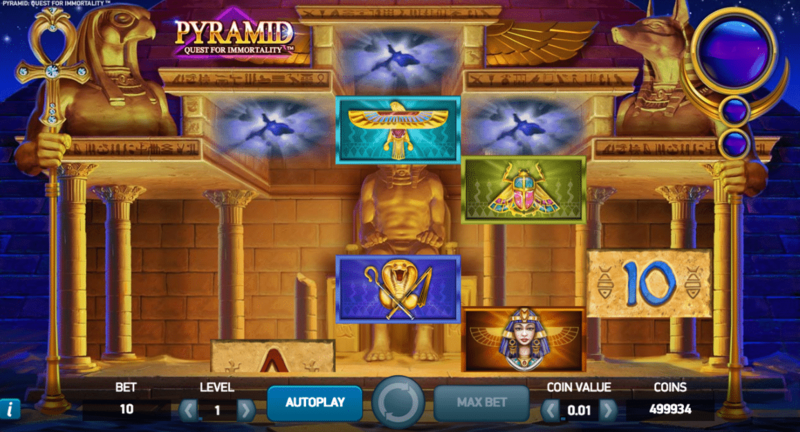 You can find these games at plenty of other casinos, but we’re sticking with recommendations based on our most trusted operators. 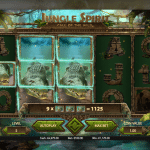 Jungle Spirit was released by NetEnt in March of 2017 and immediately caught the attention of slots enthusiasts online. As is customary of NetEnt games, this one features extremely high quality graphics and smooth animations that make it a pleasure to play on any device. This game has 243 paylines in default mode, but the play area transforms into a 5-reel, 4-row slot during free spins mode to boost the total paylines up to 1,024. 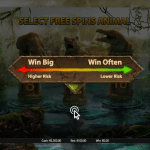 Upon entering free spins mode, you are always given a choice of five different free spins options with which you can further adjust the volatility to your preference. 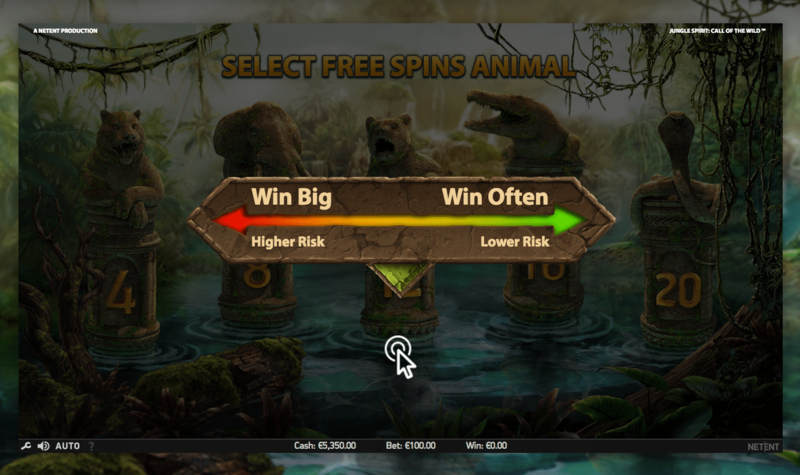 You can opt to play it safe and choose more free spins or choose fewer free spins but with greater potential prizes. 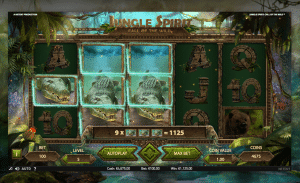 The experiences I’ve had playing Jungle Spirit go something like this: you go stretches of time without a whole lot happening, but then finally you hit a couple expanding wilds, activate a round of free spins and all of a sudden the whole machine is lighting up, making all sorts of noises and shipping large wins your way. 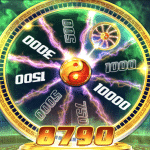 You can easily triple your balance with a little luck at this game. 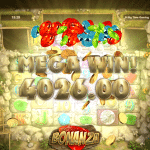 Bonanza Megaways is one of the most innovative slots released by Big Time Gaming to date. 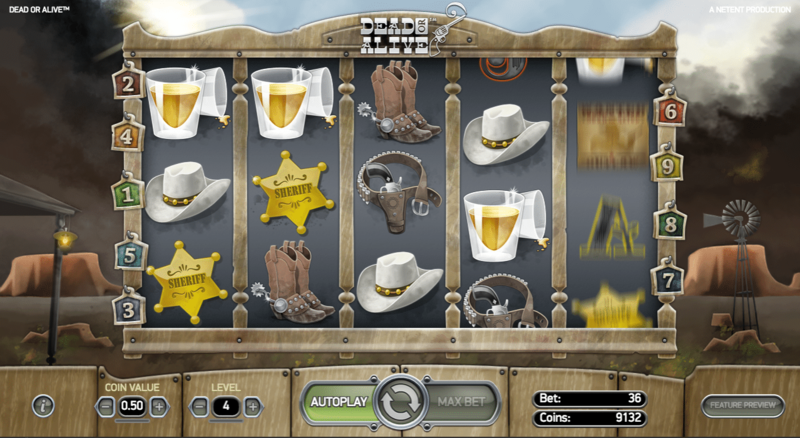 This gold-rush themed game features quick gameplay backed by fast music, crisp graphics and some very unique features, including up to 117,649 ways to win thanks to reels that can contain up to seven symbols each. 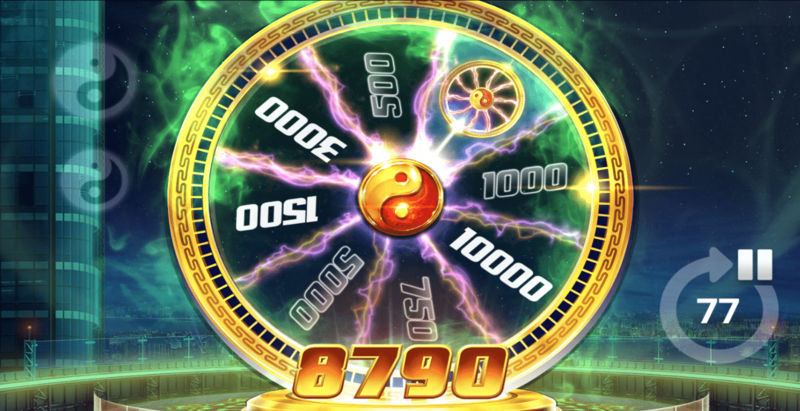 Reactive reels is an always-on feature in which every winning combination causes the involved symbols to explode, which in turn allows additional symbols to fall in from the top and cause even more wins – all within a single spin. 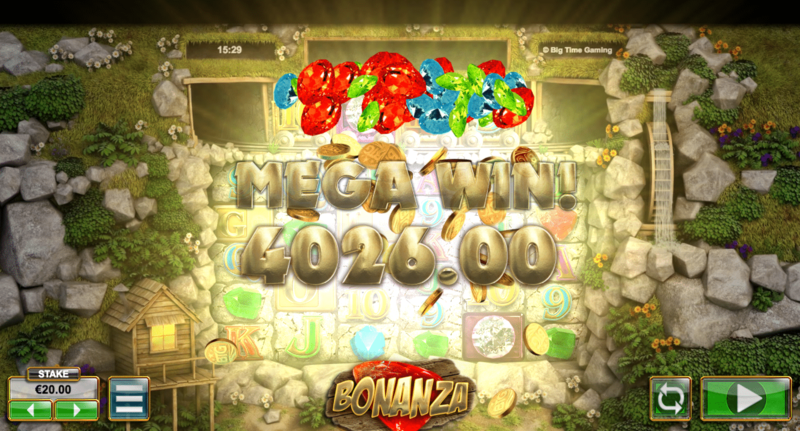 The real magic in Bonanza Megaways happens when you catch four gold scatter symbols spelling the word G-O-L-D and sending you to free spins mode. 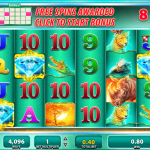 Free spins mode begins with 12 free spins along with the ability to re-trigger additional free spins. What makes free spins mode so great is your multiplier starts at 1x and increases by 1 every time you hit a winning combo with no limit to how high your multiplier can go. 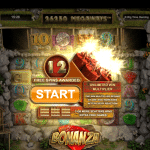 Between the reactive reels, multipliers and re-triggering of free spins, you can rack up some huge wins very quickly. 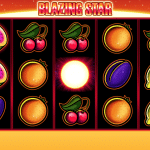 Blazing Star is a simple and old-fashioned slot that’s all about spinning the reels and collecting big wins. 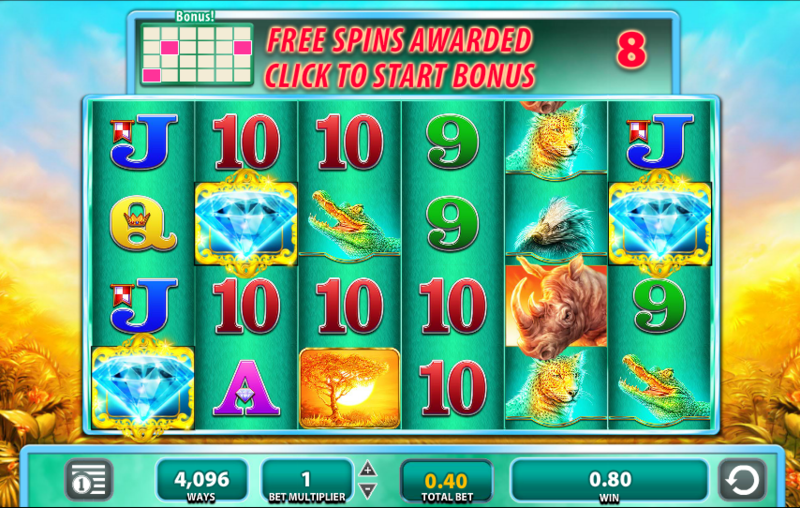 There are no wilds, no scatter symbols and no free spins features or other bonus games. 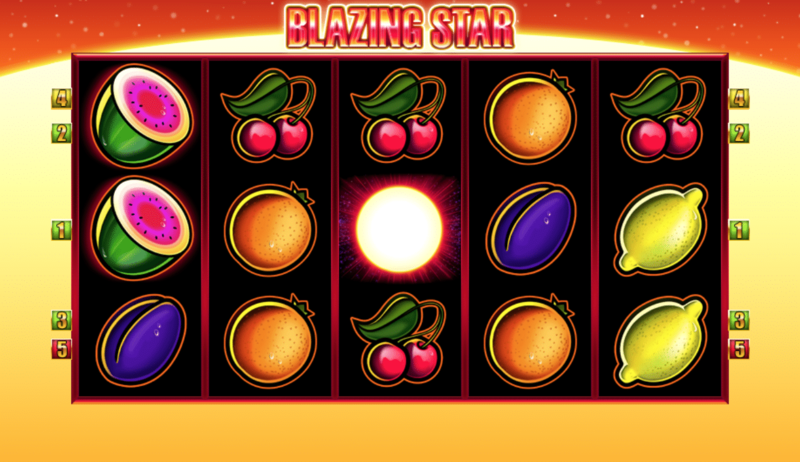 All you do is spin the reels and look for the blazing suns to send you the biggest wins in the galaxy. If you’re into games with high end graphics and extra bonus features, this is not the game for you. Combining the extreme simplicity of this game along with its high volatility results in a game that is very much an acquired taste. It takes some serious mental fortitude to deal with the long, boring stretches between big wins on such a simple game. All that being said, Blazing Star does have its fans. This game does not coddle you or distract from the fact that it is a tough, high variance slot. Stick with it, however, and there are some very nice payouts to be had. 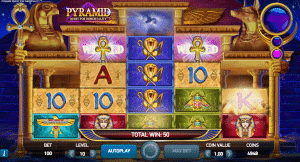 There are two gamble features to choose from whenever you hit a winning combination. One of these is a card-based game and the other is a ladder-style game in which you try to move up through the various rungs on the ladder without falling back and losing your wins. 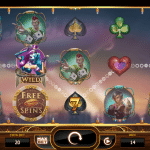 You can also choose to collect half your winnings before playing the gamble feature so that no matter what happens, half your win is guaranteed. Dead or Alive is starting to get pretty advanced in age these days, but it remains one of the most popular high variance slots to this very day. 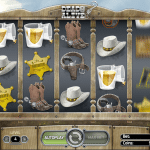 Out of all the highly volatile slots on the internet, Dead or Alive reigns supreme as the most well-known for giving out 1,000x, 4,000x and higher payouts to real players. 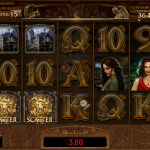 If you browse the “show off your wins” threads on discussion forums such as Casino Meister, you will see screenshots of Dead or Alive more than any other single game. 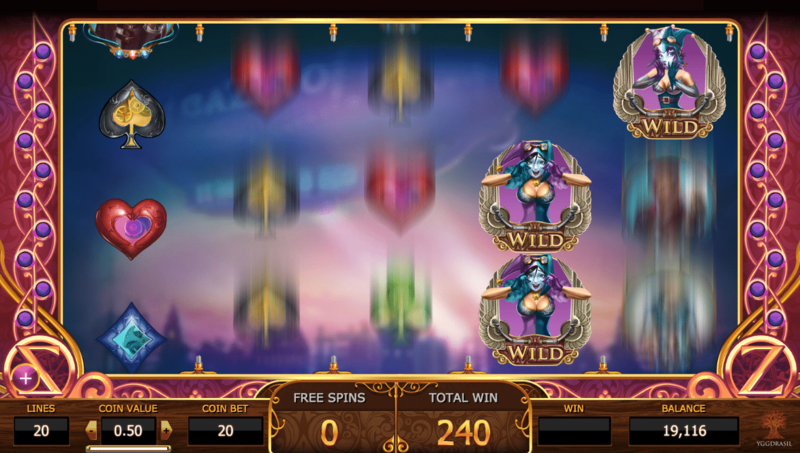 The key to winning big in Dead or Alive is activating the free spins feature and then catching wilds while you’re there. Free spins are achieved by getting three or more crossed-pistols scatter symbols anywhere on the reels. 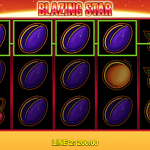 The scatter symbols offer payouts of their own as well before you even begin your free spins. 2 scatters give you 2x your bet, 3 scatters give you 4x your bet, 4 scatters give you 25x and 5 scatters give you a whopping 2500x. 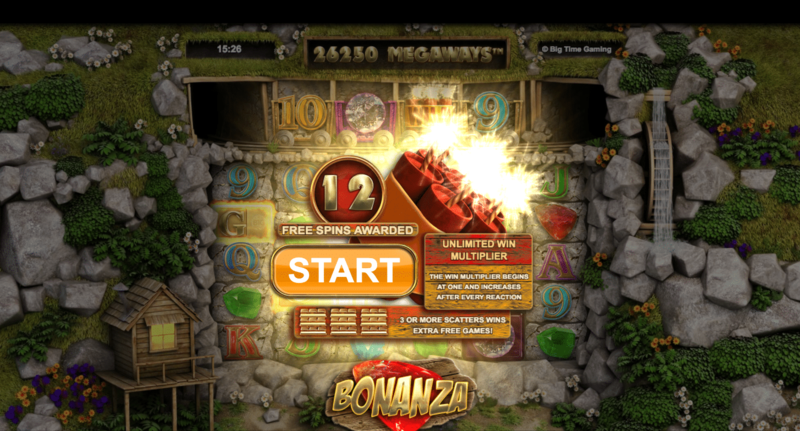 Once you get 3+ scatters and receive your winnings, you receive 12 free spins. 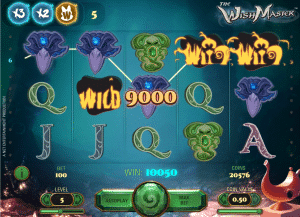 Things start to get crazy here as all winnings during free spins mode are multiplied by 2 and all wild symbols become sticky for the entire duration of your free spins. 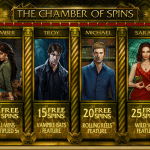 If you land at least one wild on each reel during free spins mode, you receive an additional 5 free spins. 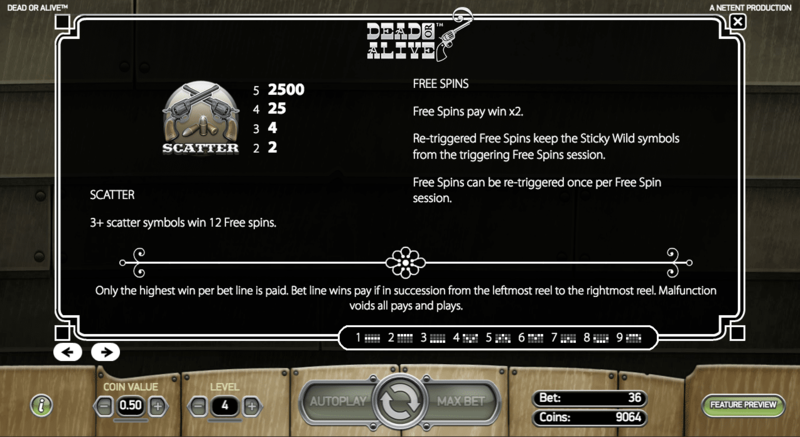 What makes the free spin mode so lucrative is wilds offer their own payouts: 3 wilds give you 25x, 4 wilds give you 150x and 5 wilds give you 1500x. 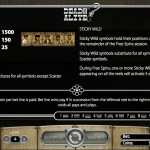 So, you have sticky wilds sitting there paying on every single spin, additional winnings from other symbols and everything is multiplied by two. That results in some truly massive payouts of up to £54,000. 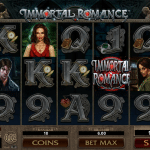 Immortal Romance is one of Microgaming’s most successful titles of all time. Its classic “tragic vampire love story” theme is timeless and its soundtrack is still the best of all time. There’s also a mysterious story to unlock as you play through the game. It all adds up to create a very engaging experience. 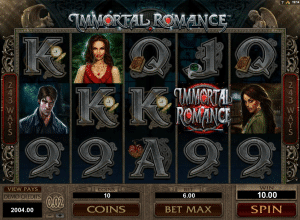 Immortal Romance simply is not your typical slot – not by a longshot. 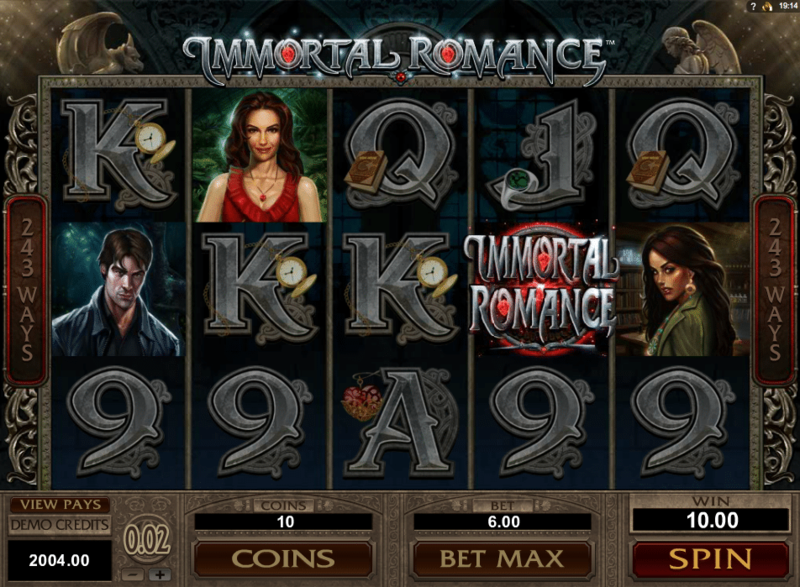 Of course, Immortal Romance would not have such staying power if it didn’t also have some major jackpots and rewarding bonus games to back it up. 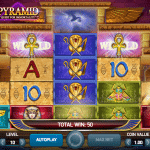 This game offers typical small payouts whenever you line up the right combination of symbols, but the ultimate goal is to get three or more scatter symbols to punch your ticket to the Chamber of Spins. 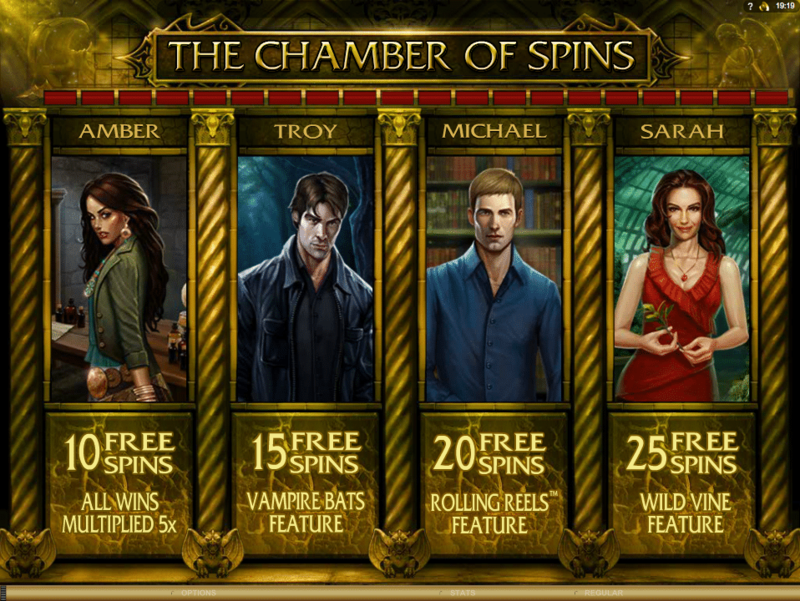 Even better than the Chamber of Spins is the randomly-activated Wild Desire feature. This one is not triggered often, but when it does show up it always leads to good things as it turns anywhere from 2 to 5 full reels into wilds. 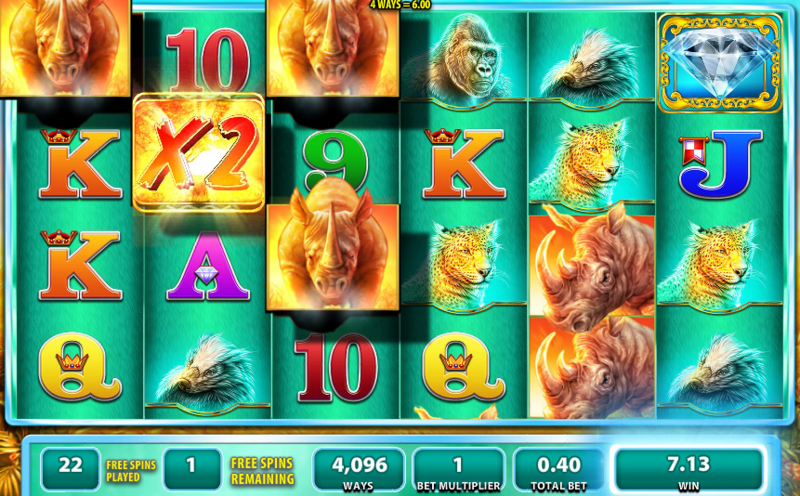 Raging Rhino is hilariously popular and may very well be the most discussed high-volatility game on the internet. What makes it hilarious is how much venom is directed at this game by frustrated players, yet it remains one of the more popular slots online. 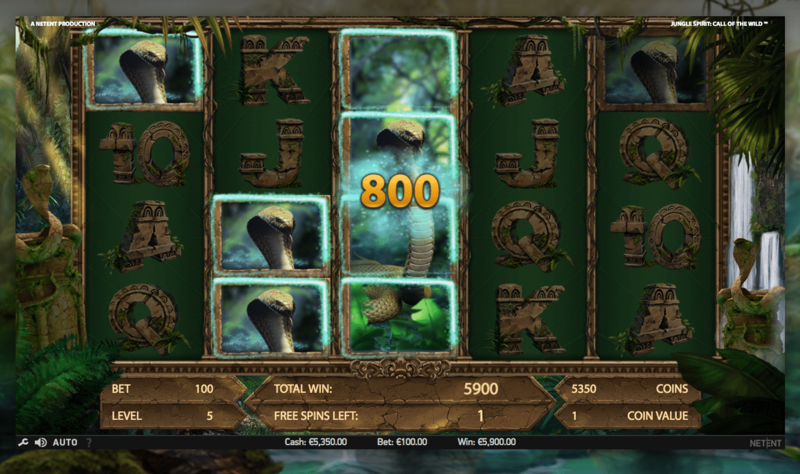 On some discussion boards, you will see page after page of people cursing out this game and vowing never to play it again – until suddenly someone else comes in and posts a screenshot of a €800+ win just to rile up everyone else and rub it in. This game can be merciless, but it can also pay very, very well. Obviously, this game is not for the fainthearted. You’ll either win big or go home broke and angry. Many times I’ve seen comments from players describing how they spent weeks in “misery” before finally hitting a huge jackpot that made it all worthwhile. Prepare accordingly. What you want to see in this game are the diamond scatter symbols that trigger free spins. 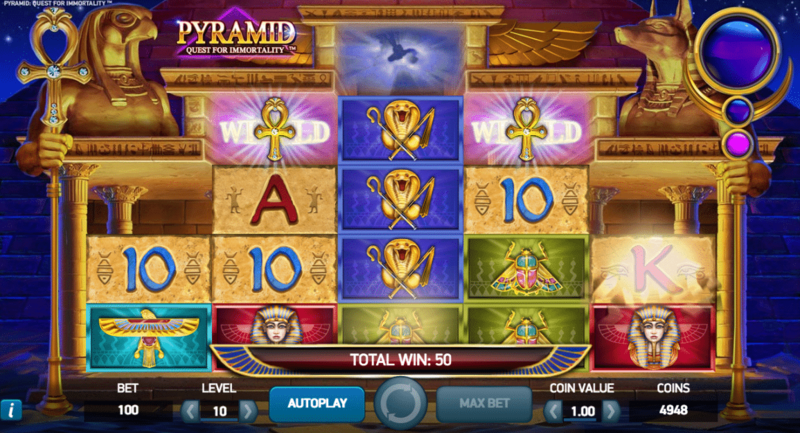 Three, four, five or six diamonds during regular play will get you 8, 15, 20 or 50 free spins respectively. Diamonds also provide payouts of 120x for three diamonds all the way up to 60,000x for six diamonds. 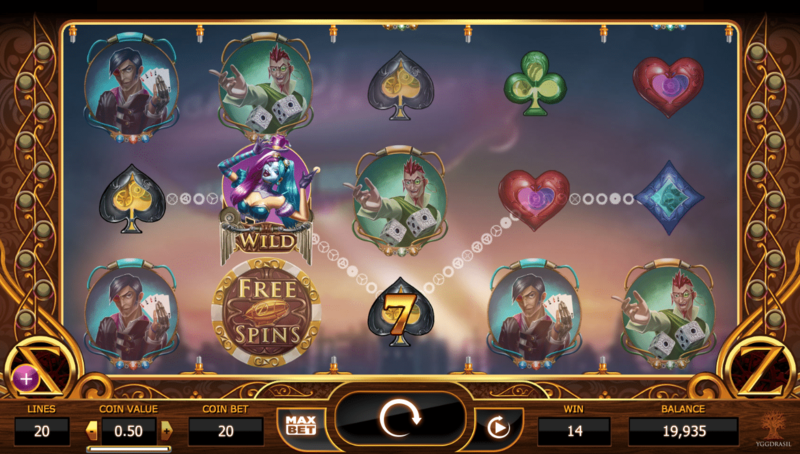 During the free spins round, you can trigger additional free spins with 2+ diamonds. 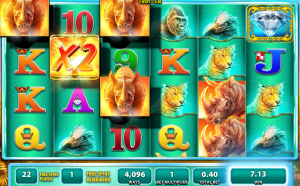 The biggest payouts of all happen when you load up on wilds (which double as multipliers during free spins) and raging rhinos. Cazino Zeppelin is another polished released from the talented people at Yggdrasil. 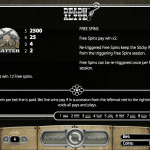 This remains their highest-variance slot to date and it features a unique steampunk theme complete with odd machinery and a mixture of old technology fused with new. The soundtrack is also definitely up there with Immortal Romance in terms of quality – both would fit right in to any Hollywood movie. As far as the actual game goes, it’s a simple and fast-moving one. The pipe-smoking man with cash in his hand is the highest paying symbol with five of those paying 2,000x. 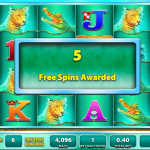 Free spins are awarded by 3 or more free spin symbols. 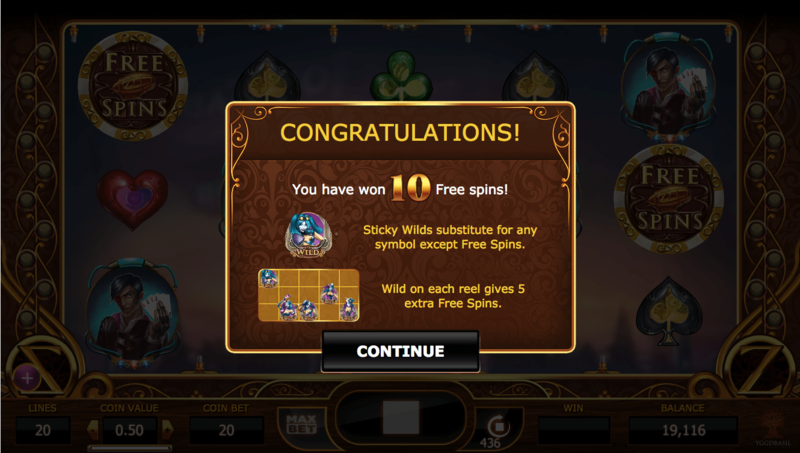 Two free spin symbols will give you 40 coins and no free spins. 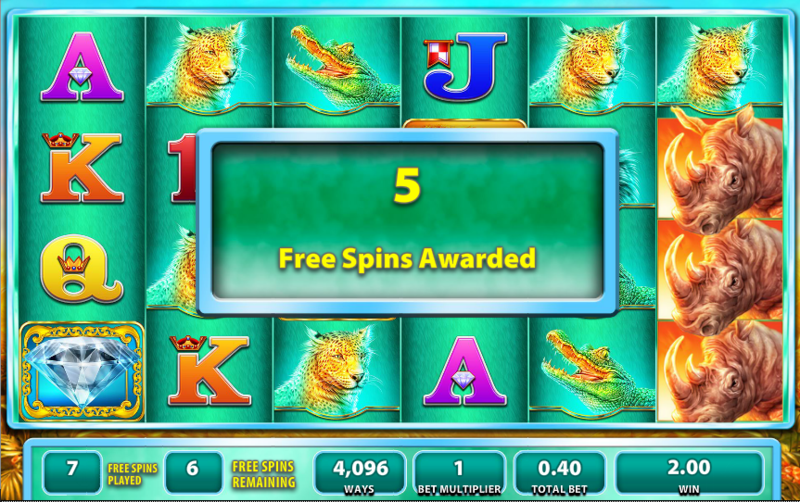 Three, four or five free spin symbols will give you 10, 15 or 20 free spins. 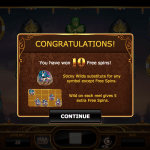 As is the case in the majority of high variance slots, this game issues its biggest rewards upon entering free spins mode. 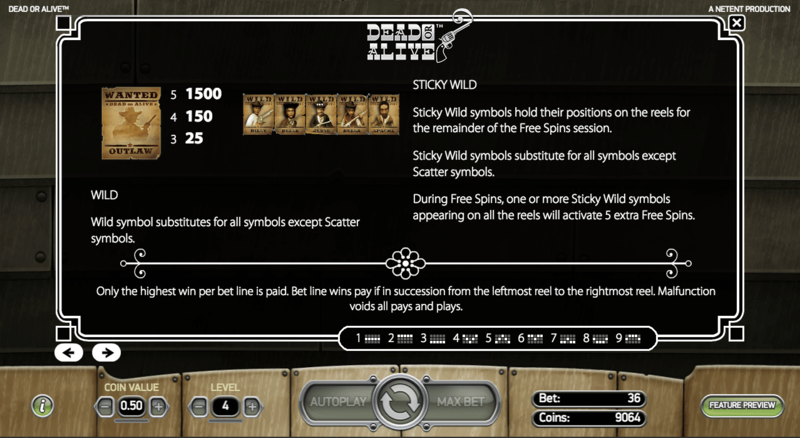 All wilds achieved during free spin mode remain sticky, and if you end up with at least one wild stuck to each reel, you will receive an additional 5 free spins. 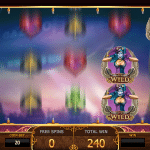 The wild transfer feature simply refers to any wilds you have on-screen at the time you trigger a free spins bonus are taken with you and sticky-ed for the duration of the round. 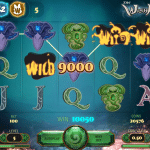 Beginning the bonus round with a sticky wild or two gets you off to a great start and makes it that much likelier you finish the round with a 1,000x or higher payout. Hong Kong Tower takes us on a journey to one of the most recognizable skylines in the world, which is Hong Kong at night. In this ELK Studios slot, you win your way up to the top of the city where the three Wheels of the Sky unlock dizzying payouts. Triggering the bonus game takes you to the top of the city where you find the three Wheels of the Sky sitting atop three skyscrapers. 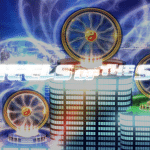 Here, every spin is a win and you begin with the lowest wheel. 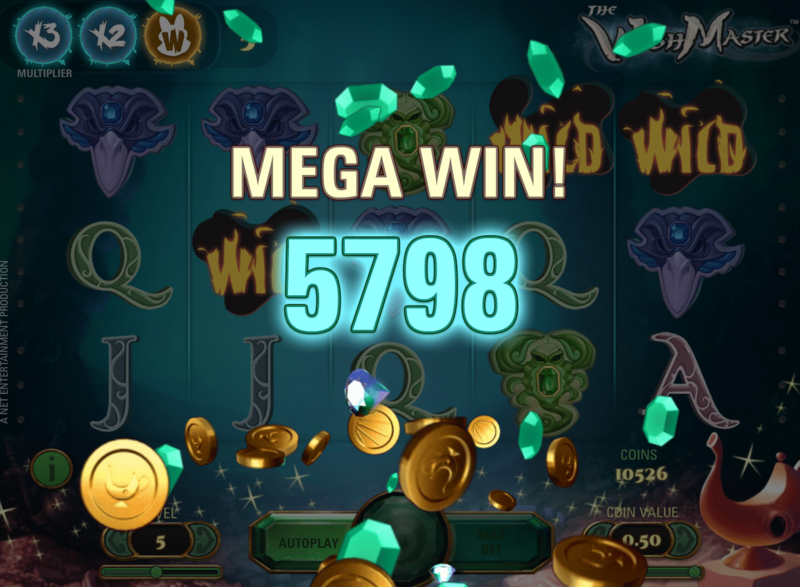 Each time you spin the wheel, it lands on either a prize which is paid immediately or it lands on the level up symbol which takes you to the next highest wheel with even higher payouts. Of course, your goal is to make it to the third and highest wheel for the biggest payouts. You continue spinning the wheel until you land on a prize that has already been claimed. When that happens, you receive the prize again but lose one of your extra lives. The game comes to an end once you’re all out of lives, usually with a significant amount of winnings after all is said and done. 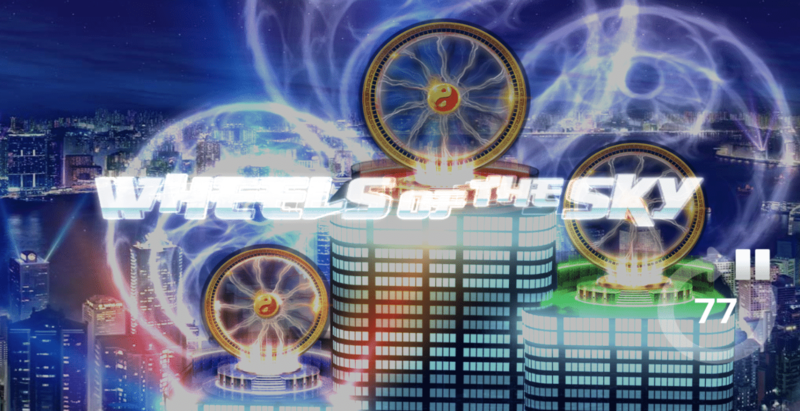 The Wheels of the Sky game is triggered by landing a blue mystery bonus symbol or by landing 3+ red bonus symbols. Four or five red bonus symbols award 1-2 extra lives while a blue mystery bonus symbol always sends you to the top with 2 extra lives. 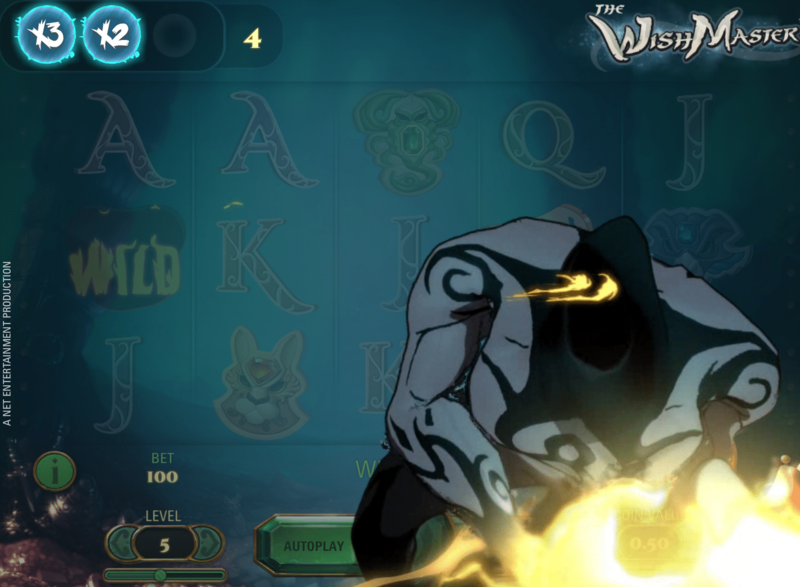 The Wish Master fits perfectly well in today’s list as this game is notoriously high variance. Make sure you play this game with a large bankroll or adjust your bet size accordingly. This game can be quite frustrating but also quite rewarding depending on your luck. The magic genie-in-a-lamp theme is well done if a bit cartoony, but it is certainly entertaining to look at and the music is fitting. 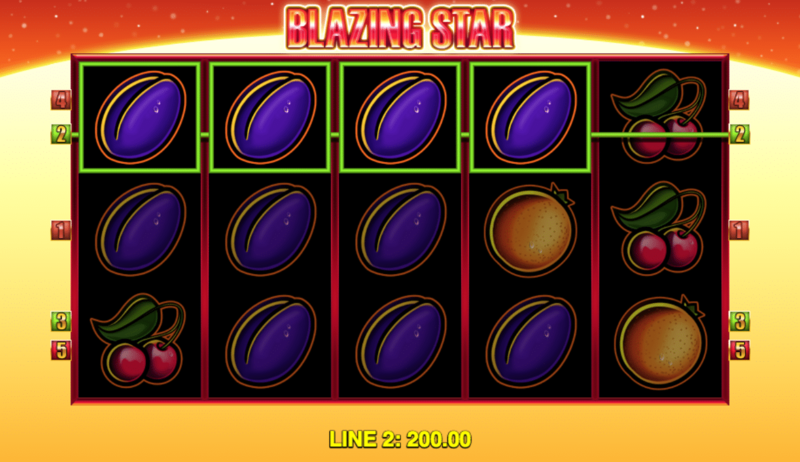 Unsurprisingly, the biggest winnings in this slot are kicked off by a magical lamp scatter symbol. All it takes is one appearing anywhere on the reels to activate the bonus feature. 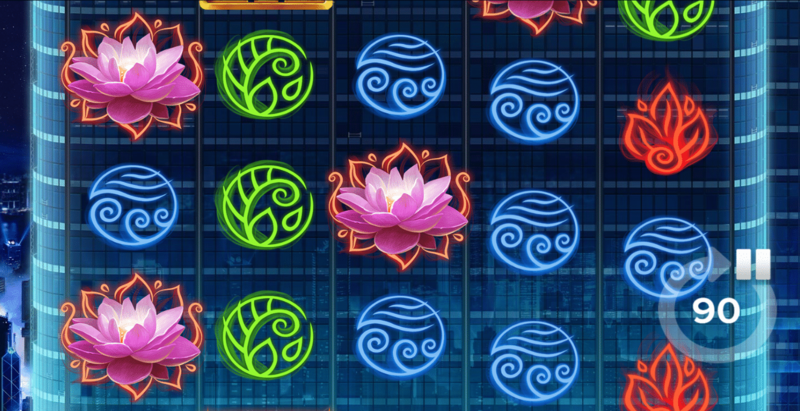 The Wish Master takes a bit of a different approach to bonus rounds than most slots. The magical lamp does not bestow free spins upon you. Instead, it releases the genie who adds on bonus feature to your next 10 spins. 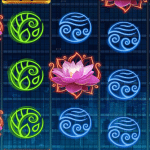 If another scatter symbol lands, it adds another feature and five additional spins to your spins counter. You can have up to three features active at a time. Extra wild: A special symbol corresponding to one of the base game symbols is added to your feature inventory and every time the regular base symbol shows up, it is transformed into a wild. The biggest wins in Wish Master occur when you release the genie and manage to get two or three features active all at the same time. For example, you might have an entire reel of wilds, all wins multiplied by 3 and every wild expanding to cover the entire reel. The end result is tons of winning combinations all being multiplied every time. 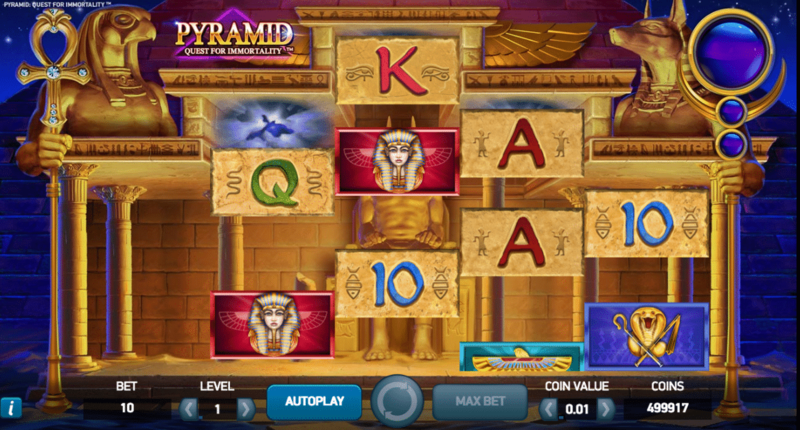 Pyramid: Quest for Immortality is yet another Egyptian-themed game among many, but this one doesn’t actually play like the many other Egyptian slots out there. P:QI uses a non-standard reel structure shaped like a pyramid with 5 reels, but each reel containing 3, 4, 5, 4 and 3 slots for symbols. Normally, this reel structure would be dismaying as it should limit the possible paylines, right? Well, Pyramid actually has 720 paylines. 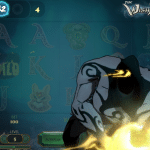 Even better, winning combinations explode right there on the board and allow additional symbols to fall in from the top for potentially additional winning combinations and more exploding symbols. Sometimes, a single spin of the reels sends you on a streak worthy of 10+ spins. And what’s more, you get an avalanche bonus for causing multiple chain reactions. Every three successful avalanches increases your multiplier by 1. You can get a multiplier of up to 10x if you’re lucky enough to cause lots of avalanches all with a single spin. Wilds are frequent and very useful as well. Whenever a symbol lands on top of reels 2, 3 or 4 and is part of a winning combination, that symbol turns into a wild for the next avalanche. 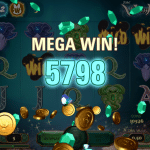 What you give up in return for these awesome chain reactions, frequent wilds and multipliers is any sort of bonus game or free spins feature. 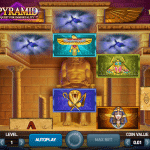 The biggest wins in Pyramid: Quest for Immortality occur as a result of chain reactions and multipliers. This is a high variance slot so you have to be patient, but the wait just might be worth it if you go on a big streak to win as many as 3,600,000 coins. What makes a high variance slot? Just a quick note – we’re going to be speaking in generalities throughout this section. Gambling is a game of odds, not of guarantees. Stuff happens in gambling. What we’re trying to do here is provide a rough outline as to what constitutes high variance slots. The basic explanation is this: high variance slots tend to offer infrequent but larger rewards. This is in contrast to low variance slots which offer frequent but smaller rewards. As far as the return-to-player percentage (RTP) goes, it all average out in the end. The experience, however, is totally different between low and high variance slots. 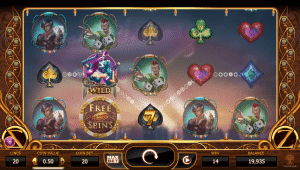 Two different slots may even offer the same exact return-to-player percentage (RTP) and provide completely different experiences for the player. You tend to experience longer dry spells in high variance slots, but then they make up for that with larger payouts when they do hit. It’s more of a “feast or famine” situation. The best high variance slots do not hold your hand and give you constant positive reinforcement. 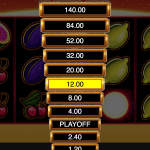 They are cold and demanding at times, but they pay so much more handsomely when the right symbols stop in the right places to trigger bonus rounds and jackpots. 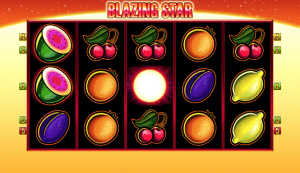 In return for your patience and faith, high variance slots promise some of the best jackpots in the business. To be clear, the size of any individual slot’s top jackpot does not necessarily indicate whether or not it is a high variance machine. 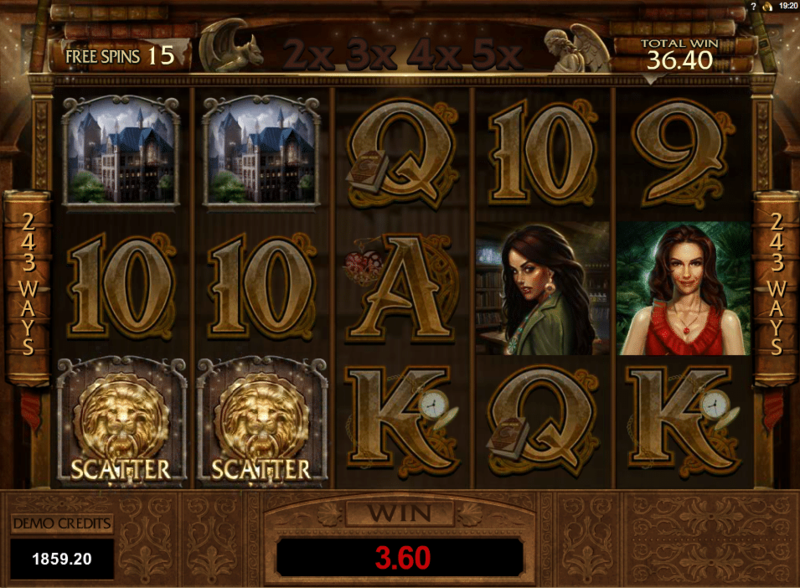 Sometimes low variance slots come with big jackpots and high variance games come with small jackpots. 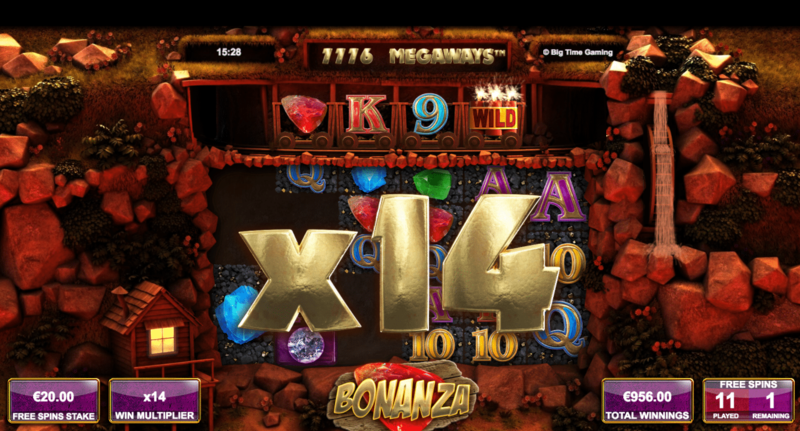 But for the most part, the biggest jackpots are found on high variance slots. Big jackpots alone do not tell the whole story. 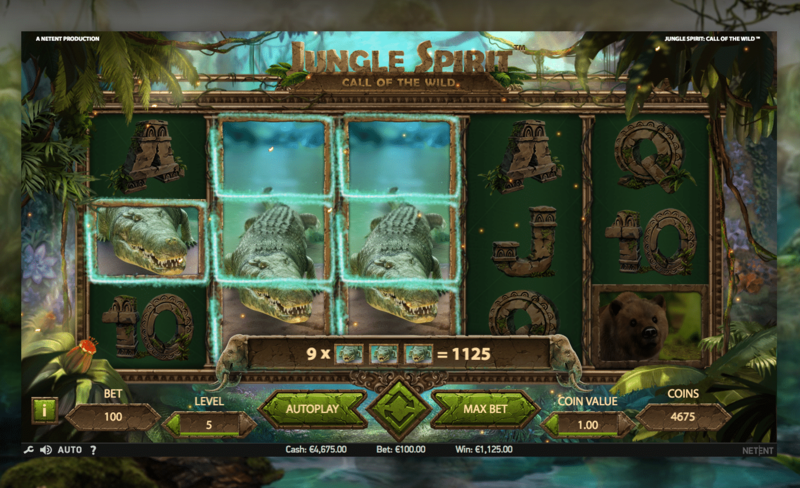 Online slots are more complex today than ever before with all sorts of bonus features that change the makeup of the game. 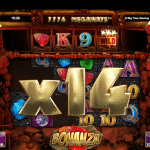 A high variance slot might be one that simply offers a big jackpot or it might be one with a bonus feature that gives you free spins with large multipliers to send the coins rushing your way. Or, you might play a slot that includes an infrequent mini-game which has you choosing from various pots of gold with large rewards found inside. In any case, high variance slots require guts. Not only do they issue less frequent rewards, but their dry spells are brutal. You watch your account dip lower and lower with no end in sight – until finally you hit a big one that puts you back in the game. What sounds brutal to some players sounds like a great time to those of us who love high variance slots. One last thing: “volatility” is another word used to describe variance. High volatility = high variance. Low volatility = low variance. 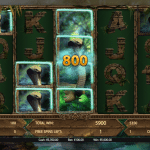 Many slots players resort to using their own experience to rate any particular game’s level of variance. Once you’re experienced, you can play enough rounds in a game to get a sense of whether it is high, medium or low variance. This process works well enough, but it is imperfect. Sometimes pure, random luck will make one game seem super tight to one player and super loose to another just because that’s the way chance works. I wanted to use a better method than my gut feeling or relying on reports from other players relying on their gut feelings. 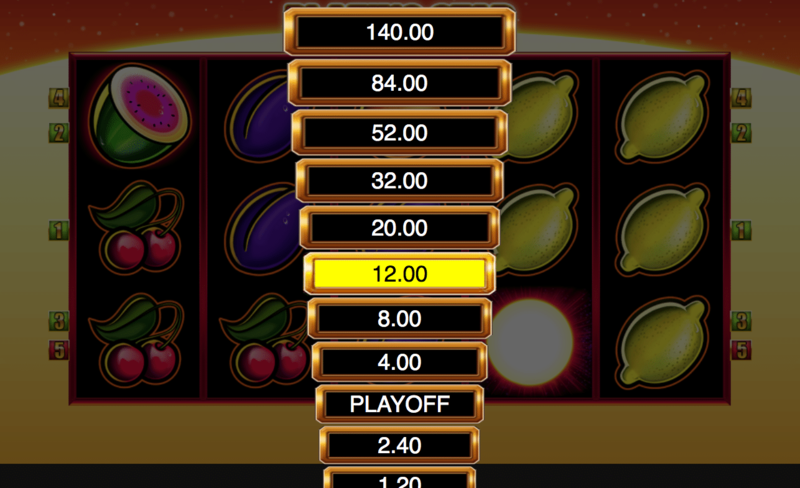 So, I went to the slots providers’ websites myself and found that some of them rate the volatility of their own games based on the math upon which each game is built. In some other cases, I found high volatility slots using the advanced search feature at PlayOJO.com. In any case, every recommendation you see here is based on actual data and not on anecdotal experience or vague guesses based on gut feelings. These are for sure the best high variance slots online.